Nature Center poster, originally uploaded by EcoSnake. 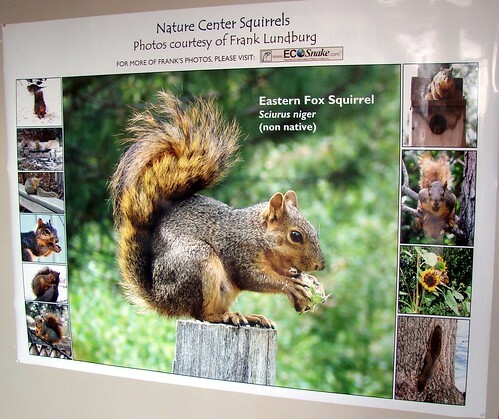 The Nature Center staff created a poster from some of my squirrel photos to promote March, 2009 as “Squirrel Education Month. Thanks to my friends at the M-K Nature Center for the honor! You can view more “ecosnake” squirrel photos in the “Squirrel” picture set. Photo(s) by Frank Lundburg and Garren Evans. If you live in the Boise, Idaho area, Please stop by the Nature Center and learn about the squirrels in Idaho and in our backyards.